There have been quite a few effects of drinking, or touching water pollution, which have been discovered. 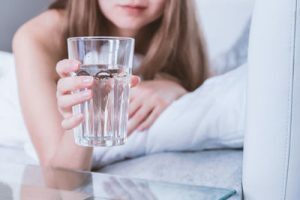 Symptoms of coming into contact with contaminated water are rashes, stomach issues, problems breathing, problems thinking or making decisions, developmental issues, problems reproducing and cancer. Because of the devastating health risks of contaminated water, federal law established the Safe Drinking Water Act. This law provided guidelines for maintaining safe drinking sources. Local governments work with federal government entities to ensure that the guidelines are implemented. Ingesting contaminated drinking water will have serious effects on your body. If you have suffered illness after drinking public water, please contact one of our experienced personal injury attorneys at the Law Offices of Jeffrey S. Glassman, by calling (617) 367-2900. Note for readers: Information provided in this post is gathered from secondary sources and not independently confirmed for accuracy. Please bring to our attention any inaccuracies that may be included so they may be corrected, or information removed as requested.DISCLAIMER: Information provided in this post is not intended to be used as legal or medical advice, nor disrespect the victims or families in any way. We are providing this post for general information on everyday tragedies and presented in a manner to protect and honor the victims and their families. Minor differences can change the outcome of cases, based on jurisdictional laws. The information provided in this post should not be relied upon as legal or medical advice. We suggest seeking assistance from legal or medical professionals for your personal circumstance, when necessary.